Gage Glass supplies all the items and components you need to construct, improve or repair all types of holding tanks, boilers, mixing vessels and much more. When you need an accurate reading on a high-pressure vessel, such as a boiler, clear high-pressure gauge glass provides the solution. Gage Glass makes it easy to order any type of gauge glass online directly, with a full selection of affordably priced components. With quick delivery and turnaround, you can get your gauge glass faster and get your equipment up and running quickly. High-pressure gauge glass is built to withstand high-pressure environments and won’t warp, buckle or shatter. 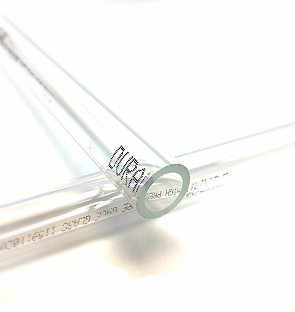 The tubular high-pressure gauge glasses derive their incredible durability from high-quality borosilicate glass. Borosilicate glass is formulated with the highest level of purity and homogeneity, so it holds its shape even in the harshest conditions. Tubular high-pressure glass is used in a variety of different types of equipment and makes it easy to get an accurate reading on liquid levels and conditions in the tank. High-pressure tubular gauge glass may be used in tanks, boilers, reservoirs, flow reading equipment and much more. The borosilicate glass construction makes the tubular high pressure glass durable enough to hold up to high pressure, high temperatures and even corrosive chemicals. Gage Glass provides a variety of different sizes so you can easily find the right high-pressure gauge glass for your needs. Click to see product specifications, choose the length of the glass you need, and place an order or get a quote.